The main objective of this study was to isolate lactic acid bacteria from kefir grains and investigate their probiotic potential. 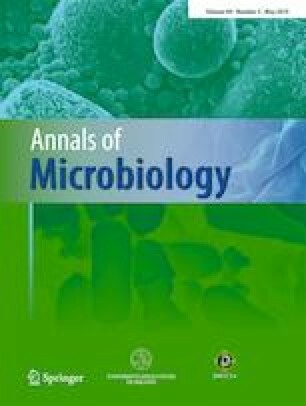 In this study, 48 bacterial strains were isolated from kefir grains, whereas 39 strains were categorized to the genus Lactobacillus. Evaluation of the probiotic potential of the isolated stains was performed, including resistance to low pH, tolerance to pepsin, pancreatin and bile salts, and antibiotic resistance. In addition, evaluation of adhesion and antiproliferative properties in in vitro experimental systems was also conducted. Strains SP2 and SP5 that displayed the best performance in the conducted in vitro tests were selected for further studies. Firstly, genotypic identification of the two strains was performed by partial 16S rRNA gene sequencing, BLAST analysis, and species-specific multiplex PCR assay. The two strains were confirmed to be Pediococcus pentosaceus SP2 and Lactobacillus paracasei SP5. Then, the adhesion properties of the two strains were examined in vitro. Both strains displayed substantial adherence capacity to HT-29 human colon cancer cells. Moreover, a significant decrease of HT-29 cell growth after treatment with viable P. pentosaceus SP2 or L. paracasei SP5 was recorded. In addition, downregulation of anti-apoptotic genes and over-expression of cell cycle–related genes was recorded by real-time PCR analysis. Treatment with conditioned media of the two strains also caused significant reduction of cancer cell proliferation in a time- and concentration-dependent manner. P. pentosaceus SP2 and L. paracasei SP5 displayed the best probiotic properties that exerted substantial adherence on human colon cancer cells as well as significant anti-proliferative properties. Ioanna Mantzourani and Pelagia Chondrou contributed equally to this work. The online version of this article ( https://doi.org/10.1007/s13213-019-01467-6) contains supplementary material, which is available to authorized users.